My patients cannot verbally express to me their symptoms. 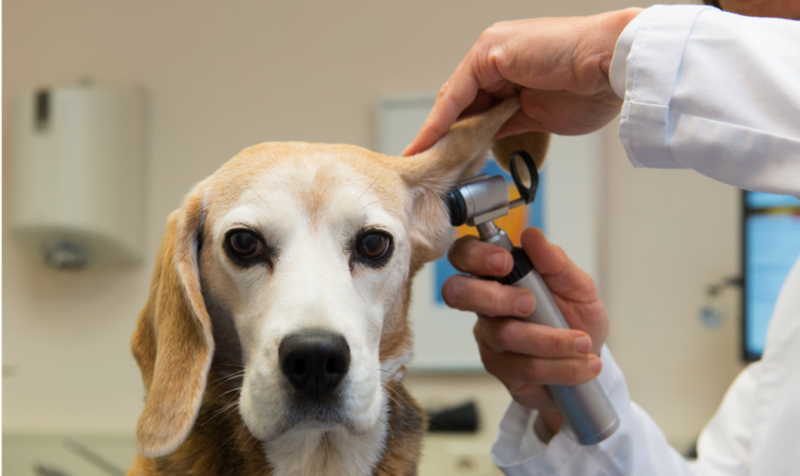 To determine the who, what, when, where, and how that a particular disease manifests itself , a veterinary medical examination requires direct observation and inference from the clinical evidence. We label these pieces of evidence “clinical signs.” After isolating these clinical signs, the process of diagnosis and treatment follows a logical series of steps, much like an algorithm used by computer software. So, how possibly can a claim like “Jesus was resurrected from the dead” be diagnosed? What clinical signs are present to explain what reasonably happened? The key in the process is to identify the explanation that most reasonably explains all of the clinical signs. 3 For I delivered to you as of first importance what I also received: that Christ died for our sins in accordance with the Scriptures, 4 that he was buried, that he was raised on the third day in accordance with the Scriptures, 5 and that he appeared to Cephas, then to the twelve. 6 Then he appeared to more than five hundred brothers at one time, most of whom are still alive, though some have fallen asleep.7 Then he appeared to James, then to all the apostles. 8 Last of all, as to one untimely born, he appeared also to me. Here, Paul clearly lists the numerous eyewitnesses to the event. The history is written in plain view— if you want further information, go ask them! Roughly recounting the math here, when Paul was before Gallio around 52 A.D., subtracting 17 years provides a date of approximately 35 A.D. If the crucifixion occurred at or near 33 A.D., then this places Paul’s receipt of the gospel through his experience with the risen Jesus very close to actual event. Remember, Paul was not converted at the crucifixion, but after many months or longer of persecuting Christians and imprisoning them. He was on his way toward Damascus to persecute even more, when he had his experience with the risen Christ. A diagnostic progression as recorded alongside history suggest the bodily resurrection of Jesus is plausible. As a result, his changed life is consistent with Gospel, and is evidenced by his delivery of that “which he first received” in 1 Corinthians 15. 12 Then they returned to Jerusalem from the mount called Olivet, which is near Jerusalem, a Sabbath day’s journey away. 13 And when they had entered, they went up to the upper room, where they were staying, Peter and John and James and Andrew, Philip and Thomas, Bartholomew and Matthew, James the son of Alphaeus and Simon the Zealot and Judas the son of James. 14 All these with one accord were devoting themselves to prayer, together with the women and Mary the mother of Jesus, and his brothers. The presence of doubt — resistance to the truth — compels deeper investigation into the facts. Like a resistant bacteria, doubt can lead to deeper confidence in the diagnosis. Why? Because the mere existence of doubt and resistance adds credibility that the diagnosis is the correct one. Even Paul had doubts, and his concern was that the Gospel would not be altered from its original message. He spent his life preaching this message of hope through a life transformed by the finished work of Jesus on the cross. This message still rings truthfully in the Christian church today. And, on Good Friday, where the sacrifice of God’s only Son was made, we can be confident in the diagnosis: Jesus Christ is Risen from the Dead. Indeed. On the first call of the day, at 5 a.m., I drove El Torpedo to a local gentleman farmer’s home to investigate a cow who had difficulty standing after calving. Sliding to a stop right alongside her, I exited and performed her physical examination without delay. Typically, a “downer cow” suffers from a series of complications associated with delivering a nearly one hundred pound calf over several hours. This girl was experiencing obturator nerve paresis (weakness) and hypocalcemia. I placed an intravenous catheter in her jugular vein and administered some steroids and a solution containing calcium, magnesium, and glucose. An awkward thirty minutes passed when I turned to the farmer and said, ” She should be getting up any sec . . . ” as she sprang to her feet and waggled her way down to the hay feeder and began eating. The farmer turned to me, “Son, your hands have been touched by God. I have lost the last three cows to paralysis, and she is the first one to get up and walk.” Feeling somewhat spiritual, I collected my fee and drove El Torpedo back to work for the remainder of the ten-hour day. Curiously, how might this relate to the existence of God? First of all, one should ask: why does veterinary medicine exist at all? I would posit veterinary medicine or any medicine for that matter, exists because God exists. Otherwise, why would animal suffering matter to humans? According to the natural or materialist worldview, we are here as a consequence of random chance, unable to control our fate. Richard Dawkins, Oxford University professor and atheist suggests we are merely “dancing to our DNA.” From whence the DNA cometh is a topic for later discussion. So, the skeptic might suggest that caring for the cow or preventing animal pain and suffering is the “right” thing to do. Actually, nature and opportunity would provide the opposite–a horrendous alternative for her via predation. “Survival of the fittest” would reign and she would fall victim to dire consequences. From the atheist’s view, nature would take its course. In such circumstances, we are under no moral obligation to intervene. Another might argue that we should care because the animal has monetary value; we surely do not wish to lose our investment, do we? As a result, do humans simply exploit animals, or honor their value as living things? The answers to this type of question bewilder veterinarians to this day. Medicine indeed is a business, but success is shouldered on the prevention and treatment of illness, not the exploitation of the unfortunate patient. However, to make a determination of right versus wrong, the atheist must impute a standard from which to draw their conclusion. The standard of measurement they must utilize must be above mere opinion–and that standard is God. In understanding animal pain and suffering, the Christian worldview provides the most straightforward answer. If we care about the plight of animals– and believe me, they do feel pain, we must ground this feeling of responsibility in a standard. The essence of this responsibility flows from the nature of God. Through the understanding of God’s character and the consequences of violating that metric, pain and suffering may be understood clearly. In future discussions, I will seek to answer this question: Why Would a loving God allow animals to suffer in the first place? In the meantime, remember to be wary of downed cows, and when you try to stop, don’t forget to pump those brakes. via How can a Loving God Send People to Hell? After years of clinical practice in veterinary medicine (almost 33 to be exact), I am still amazed by the different perceptions pet owners embrace concerning their animals. In our humanity, we frequently elevate our pets as equals in our lives. Conversely, I observe people without pets navigating life in much the same ways as those without children. For example, our daily routine is structured around the needs of our dogs for a given day. Only a certain number of hours are available to be away from our home without their basic needs being attended. Although our guys require only a little, we have four canines so to those whom much is given, much is expected. Food, shelter, hygiene, grooming, and medical care are non-negotiable. Like children, the crew of four need constant supervision and persistent attention for their mental and physical well-being. A toddler has similar needs, but unfortunately for pet lovers, your furry children never really grow up. Occasionally we observe streaks of teenage rebellion, but afterward, they slip directly into their golden years. Let us take this idea a little further and apply it to ourselves. Each of us has fundamental needs compounded by our rational, volitional, and emotional perspective. In our core, we all seek answers to questions such as: Who am I? Why am I here? Where did I or we come from? What is my purpose in life and gives meaning to my existence? The answers to these questions direct our perception of the world creating a “worldview.” Well of course! We so instinctively respond to life in this manner without giving much thought as to the “why.” My wife perceives that our dogs think and reason sometimes, however, the perception is only mimicking human behaviors in the context we observe. I honestly do not believe our Standard Poodle ponders the four questions above in spite of her apparent brilliance as compared to her housemates. Fortunately for all pet owners, we are the source of meaning for our pets with the fruit of the relationship being the enrichment of our lives through their companionship and affection. Now, let us continue by placing ourselves in the dog’s paws (since they do not wear shoes). What would the culture look like if we were motivated by the desire to please others and give them affection and relationship in return? Which worldview best describes this type of sacrificial relationship? According to Naturalism or Atheism, the material universe is all that exists. All life is the chance byproduct of a biological process guided by evolution, or survival of the fittest to produce the next generation. Only that which can be observed or measured can be trusted. No soul, no spirit, no mind, no objective values or morals, just preferences are entertained as useful. Even those preferences are subject to change based on evolution. In this situation, how would we ever teach or train a dog to be obedient if our choices are always subject to change? Consider Pantheism, or Panentheism, where only the spiritual dimension exists. Everything is either a part of a Supreme Being, or that being is in everything or everyone. Truth is an experience of oneness with the universe and is beyond all rational description. No real distinction exists between good and evil. In this scenario, my dog could not be a “good dog” or a “bad dog”- he would just be a dog. So what about Postmodernism? Here, the idea of reality is relative and has to be interpreted in the light of society and culture at the moment. Humans are not genuinely autonomous and free, but a product of the surrounding culture. The “true for you, but not for me” paradigm exists, and the truth is only meaningful within a particular culture, making itself wholly relative and not objective. Tolerance, inclusion, and freedom of expression are universal. In this paradigm, my dog is turned loose in the neighborhood and allowed to bark all night long, because to do otherwise would inhibit his freedom and be labeled intolerant. Ultimately, let us observe Theism or the belief in God. Even though Islam and Judaism also hold to a belief in an all-powerful God, the focus specifically here is on Christianity. God is infinite, personal, all-knowing, all-powerful, immutable, and all-good to mention only a few attributes. He created a material world and all that it contains, both living and non-living. The universe had a beginning and will have an end. Mankind is the unique creation of God, created in “His image” which provides means for biological, spiritual, personal (relational), and eternal existence. Truth is objective and valid for all persons, at all places at all times. We discover the truth through God’s revelation to us through His creation, using our five senses and our mind (rational thought). Furthermore, God has provided an instruction manual to life through special revelation in the form of the Bible. Moral values are an objective expression of God’s nature as an absolute moral being. Good follows out of imitation of God’s character, and evil is the deprivation or corruption of good that is opposed to the nature of God. From Christianity, humans are custodians of animals and accountable for their well-being because they are part of God’s creation. In this case, the care, protection, and provision for my dogs (and all other animals for that matter) are an outward expression of mankind’s respect for God’s creation and desire for a personal relationship with us. Christianity makes it possible for me to care whether my dogs have their basic needs supplied. The provision, care, training, and even veterinary medicine itself is a consequence of the moral obligation mankind has for animals. Objective reasoning and truth allow decisions and choices to be possible, and in following after God’s character will provide beneficially toward the reality we experience as “good.” So, it is true– the way we see the world makes a world of difference and can make ALL the difference in the world. Hey Doc, My Dog Won’t Take His Medicine! Dogs fascinate me with their diverse personalities and preferences. Take, for example, our brood of canines and their daily routine. Their world revolves around the basic necessities of life: food, sleep, and playtime. We have a motley crew of four, including a Standard Poodle, a Toy Poodle, a Maltese, and a Cavalier Spaniel. Since each breed of dog has its specific qualities and skill sets that were selected over generations of selective breeding to serve a particular purpose, each individual is driven by their unique mission: squirrel chaser, food connoisseur, ball chaser, or guardian of the door. Unfortunately, two of our pets require daily medication as a result of some really unfortunate diagnoses. Lily, our standard poodle, has epilepsy, and Claire, our toy poodle, has Addison’s disease. Lily started having clusters of seizures beginning at three years of age, and Claire has a deficiency of hormones that regulate her entire metabolism. As a result, we must be diligent in our monitoring and administration of their medications because failing to do so places their livelihood in jeopardy. Lily is ecstatic about taking her medicine, but Claire (the little one), well not so much. Now granted, I am a veterinarian and am skilled in the subtler arts of patient care and pill administration. However, my first attempt at giving a tablet to Claire was more like throwing it into a blender with the lid off. Compounding the medicine into a “palatable liquid” faired even worse, as she feigned collapse and remorse with drama worthy of an Oscar nomination. Finally, after exhausting the inventory of flavored treats to disguise the remedy, we found her love language in the form of peanut butter. Not just any peanut butter, but a specific pill pocket with a particular softness and texture. Really? Could it have been that simple? In reflection, Claire’s response to our efforts to “help” her was not unlike the response many people demonstrate to me when making a case for Christianity. Like my pets, each individual has basic needs and desires. Those needs are frequently tempered by generations of family history and experience. Each person is “driven” by their perceived mission or purpose, filtered through their view of the world. Even further, some of us require daily treatment for our needs to be met or our illnesses to be abated. Truth is much like the medication my dogs require on a regular basis. Even though it is frequently not palatable, it is still the truth. I can disguise it is some way to seem more acceptable, more comfortable to swallow, or even absorbed more efficiently. But to greet reality, the truth has to be consumed on a daily basis. Just like my pets’ health, we must be diligent in our monitoring and administration of facts every day. Needless to say, the truth will reveal itself in the strangest ways. Although my client was genuine and well-meaning, his expectations for results were immediate, and he missed the overall goal we had in mind. Sometimes in the busyness of practice life, I have to remind myself to walk the client through the process and let them see the endpoint that we mutually wish to arrive. Where I failed in this process was in “throwing the ball where my client could catch it.” Sometimes in our attempt to convey knowledge, which in essence is our understanding of multiple truths, we forget to inform others where we are traveling. In making our case for Christianity, it is crucial to convey wisdom in the context of knowledge. Of course, we must have the ultimate goal in mind of the Gospel. To get to the particulars of that conversation, the skeptical person must be given the opportunity to understand not only what we believe, but why we know it to be a valid assertion. For my client, the presence of fleas or infection may be secondary to the simple persistence of his dog’s constant itch. Today’s culture demands immediate gratification. We microwave our meals. We use search engines to acquire information instantaneously. Facetime and texting provide real-time communication. In fact, I have experienced instances where I prescribe or recommend a product to a customer, and before I can print the prescription label, the client has already compared prices and cross-checked my recommendation on Google or Amazon. So why are we not surprised that a skeptic will want instant validation of our assertions concerning Christianity? The primary solution to this problem is in the preservation of relationships. The old medical adage of “no one cares how much you know until they know how much you care” is just as valid for apologetics as for medicine. Genuine care and authenticity are the answer. We can disagree in principle but still maintain “humility and grace.” Clients return to my hospital because of our relationship, trust, and honesty. People with unanswered questions, especially our youth and the millennial generation, are seeking answers to the problems and the brokenness apparent around them. The relationship with skeptical people is identical in principle. Our goal is to relieve the”itch” that is making the skeptic so uncomfortable. We do not have to wrap it into something analogous to peanut butter to make it more palatable. Our relationship with them combined with honest, authentic answers to their questions will reveal the truth of Christianity as the medicine they have been seeking all along. Dr. Potter’s analysis is a great read. Many students I teach in Bibliology come from Christian schools, homes or have been in the Church awhile. Yet, I quickly discover they have major misconceptions about the doctrine of biblical inerrancy. One popular misconception is they think biblical inerrancy is based on an ancient reading of the Bible. That is, they think some old man or council, after collecting the biblical manuscripts read through them all, and upon not find any errors (or corrected them if they did), pronounced the Bible inerrant. Another one is that inerrancy is true simply because the Bible says so. However, neither misconception could be further from the truth. I am unsure of the author, but this summarizes many of my daily conversations.